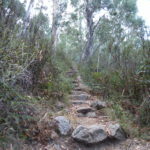 Booroomba Rocks bushwalk. Located in Namadgi National Park. Spectacular views. Distance: 2.6km or 11km return. Booroomba Rocks bushwalk is a 2.6km return hike. The track is quite steep but you shouldn’t have any issues with moderate fitness. Just be prepare to walk up a few steps. Along the way you’ll see plenty of large granite boulders which gives the Granite Tors bushwalk a run for it’s money. Once you make it to the top there the mountain range views are spectacular. And of course Booroomba Rocks views are pretty good as well. 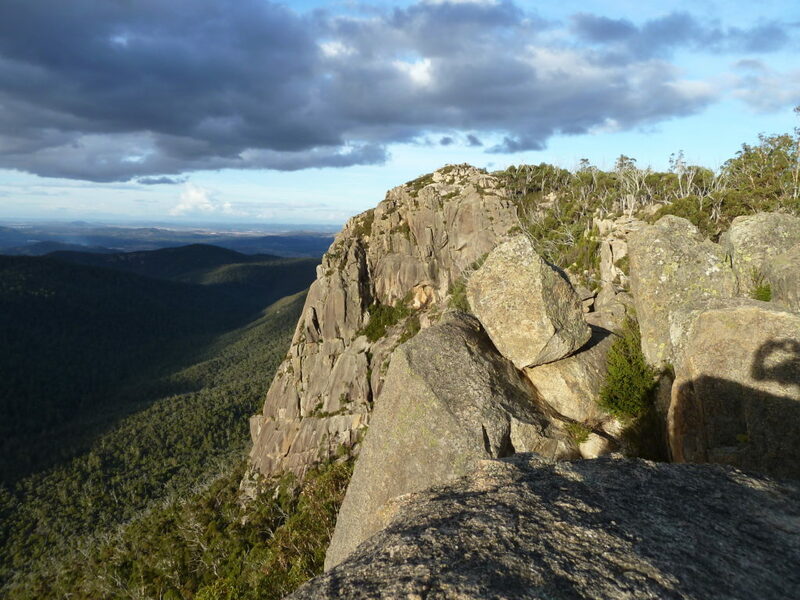 Booroomba Rocks is located in Namadgi National Park. The drive out there is a classic country road trip. You really feel like your miles from anywhere. There is a 3km dirt road you’ll need to take if you wish to only walk 2.6km to Booroomba Rocks. Though at the time of writing this blog the road was quite good. Alternatively you could park down the bottom and go for a larger walk. I would guess it’s around 11km return. I’m not 100% sure as I choose the 2.6km return trek. This was a great bushwalk with a fantastic reward at the end. Directions to Booroomba Rocks Bushwalk. Google Map Link. Head towards Namagi National Park down Nasa Rd. Take the Apollo Rd turn off. It’s well sign posted to Booroomba Rocks. Off Apollo Rd there is a 3km dirt road you need to travel on. Booroomba Rocks Bushwalk trail Map. Booroomba Rocks Bushwalk Photo Gallery. Booroomba Rocks Bushwalk Youtube Clip. Bushwalking Canberra, act bushwalks, Canberra bushwalks, tracks, trails, Booroomba Rocks, Namadgi National Park.